Unless you reside in a suburb of NOLA that goes by the name Westwego, Gretna, Algiers, Belle Chasse, Marrero, etc., you probably scoff at finding a reason to travel to the Westbank. I, on the other hand, have little issue with venturing to the other side of the Mississippi River. It has some of the best Vietnamese food at Pho Tau Bay, you can easily score the best deal on the latest catch from fisherman who have just docked, and the citrus grown in groves throughout the area are some of the best crops harvested. 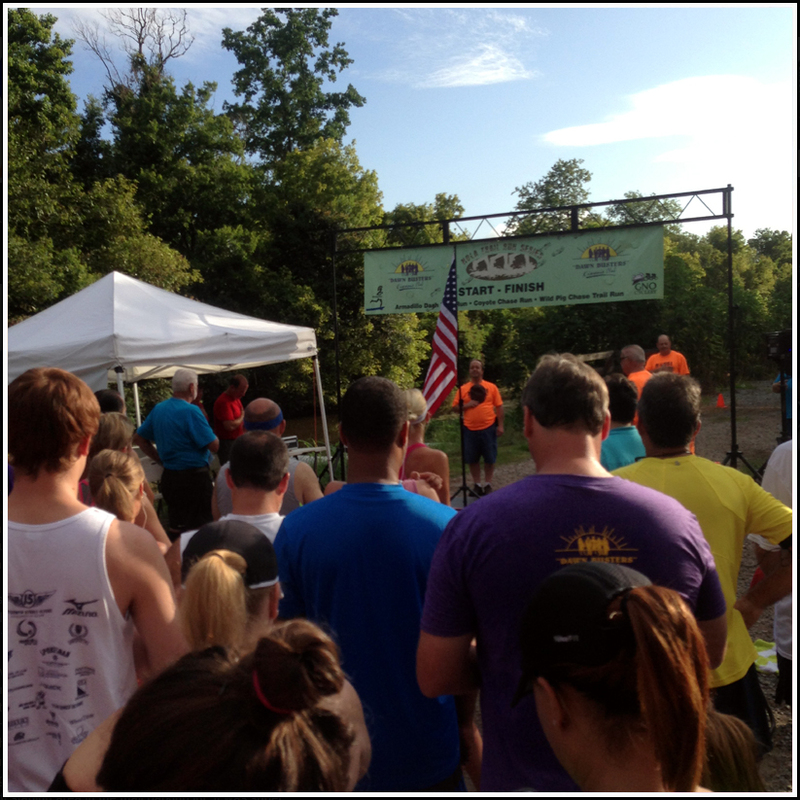 This past Sunday gave me another reason to head to the "Bestbank," the Wild Pig Chase Trail Run. 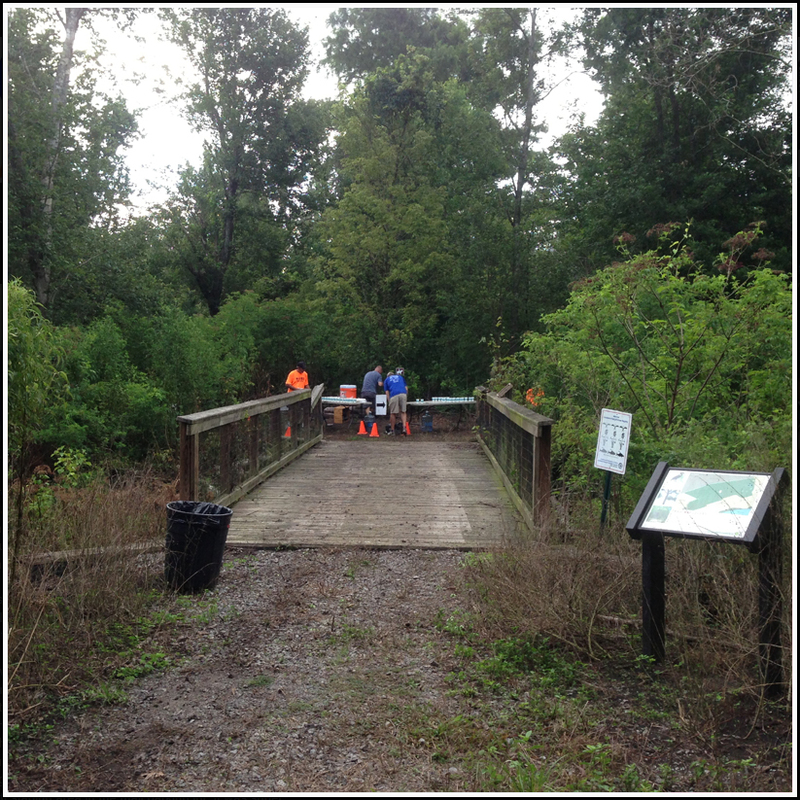 As the third and final race in the NOLA Trail Run Series, the Wild Pig Chase Trail Run took place at the Woodlands Trail and Park in Belle Chasse. I had scouted out the location weeks before to see exactly where I would be going on race morning, and knew it was surprisingly easy to find. That came in handy when race morning arrived, because I was able to tell the small group of friends and coworkers that I would drive the carpool to get there. If only I hadn't partaken in the Tales of the Cocktail festival the several days prior, the drive to the race would have been that much more enjoyable. 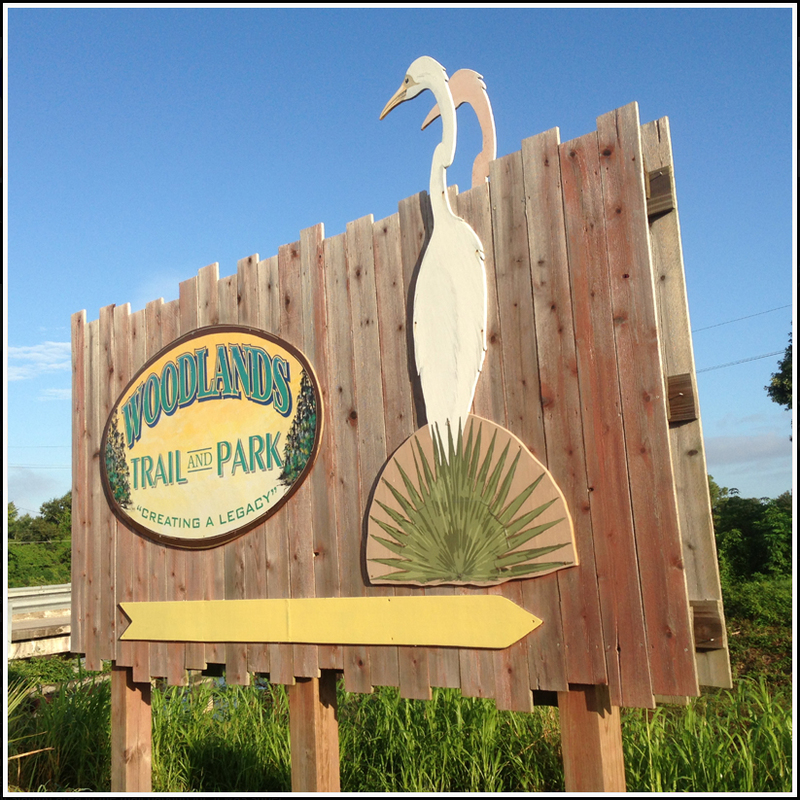 The Woodlands Trail has 13 miles of natural trails on a "conservation of hardwood forests, and (is) a leader in the advocacy and preservation of Louisiana’s coastal forest ecosystems." 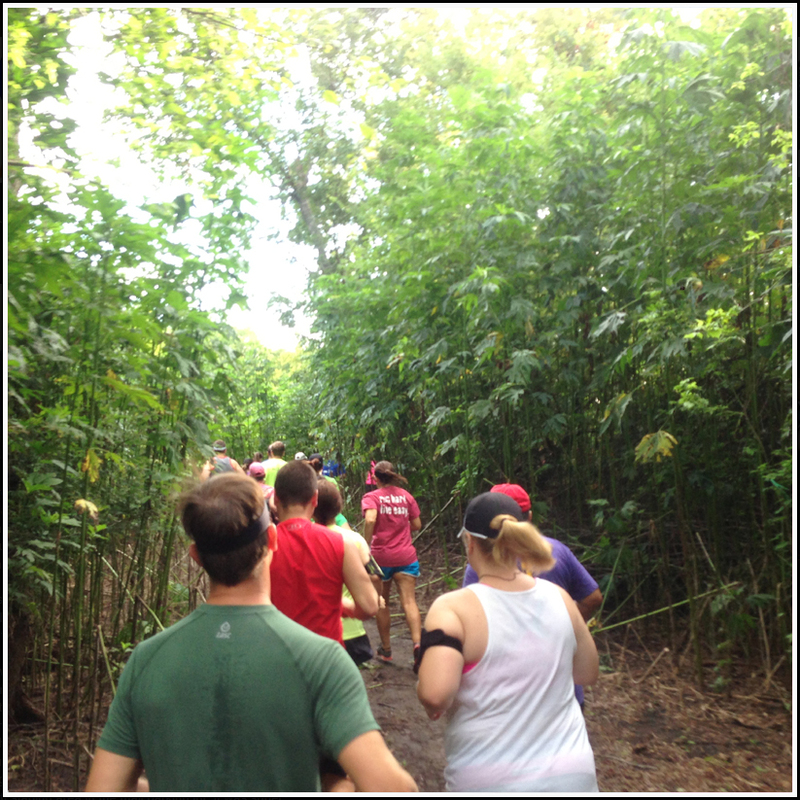 For this race, a little over 3 miles of the trails are used to give a quick glimpse of the vast space available to explore. The course is comprised of a one mile stretch out from the main entrance followed by a one mile circular loop that brings you back to the same one mile stretch back to where the race started. 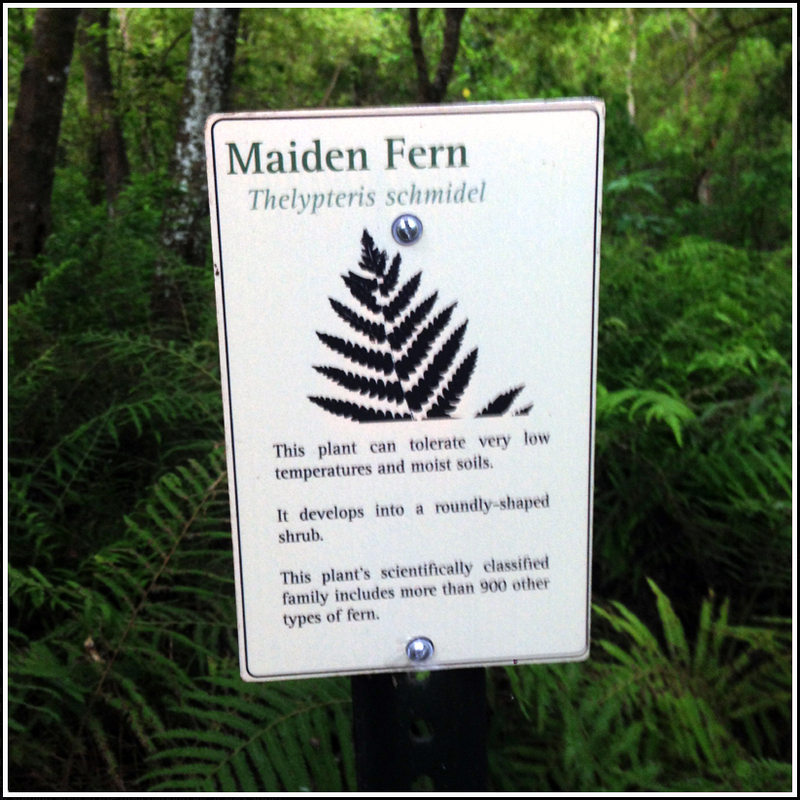 The paths are all hard packed mud or grass with dense foliage on either side. 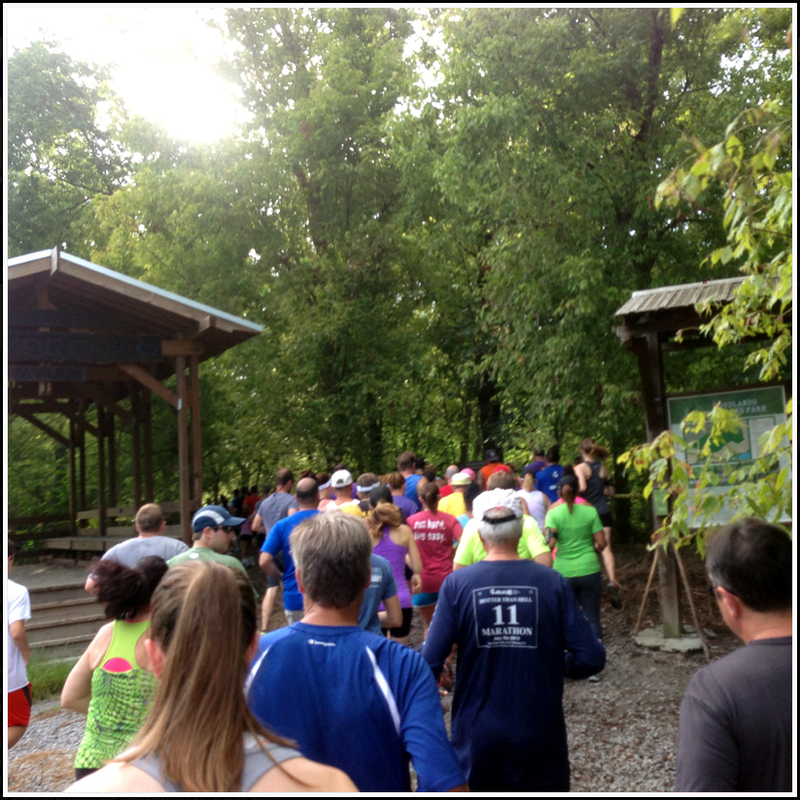 It is the epitome of what trail running is, and one of the prettiest trails I have run through during this series. 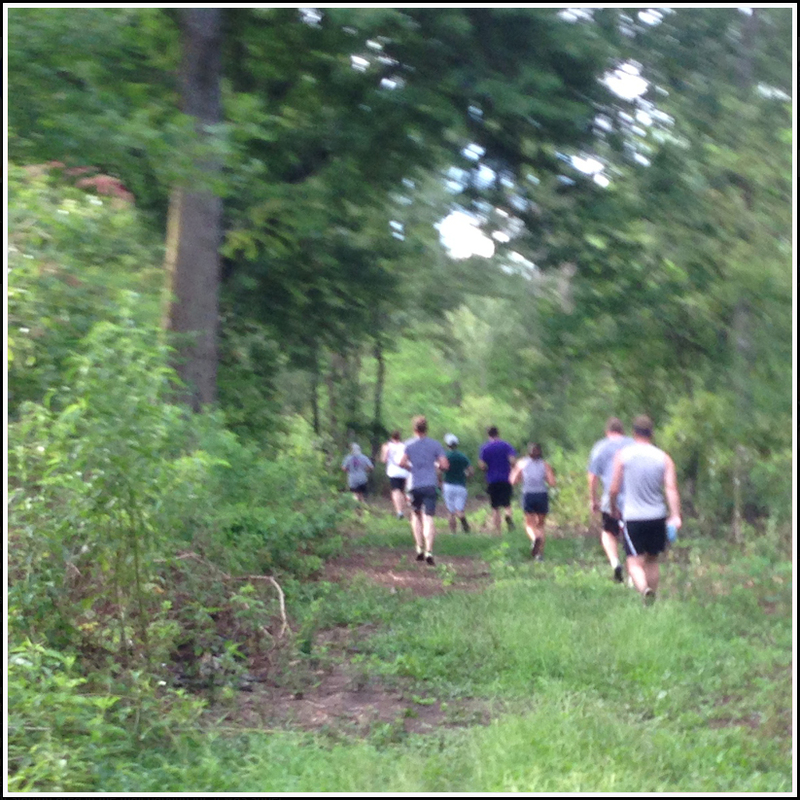 The difficulty with a course of this nature is that when running on ankle high grass, its hard to see holes, bumps, tree trunks, and puddles that may get in the way. Also particularly perilous is the deterioration of the course when rain decides to spring up out of nowhere during the race. 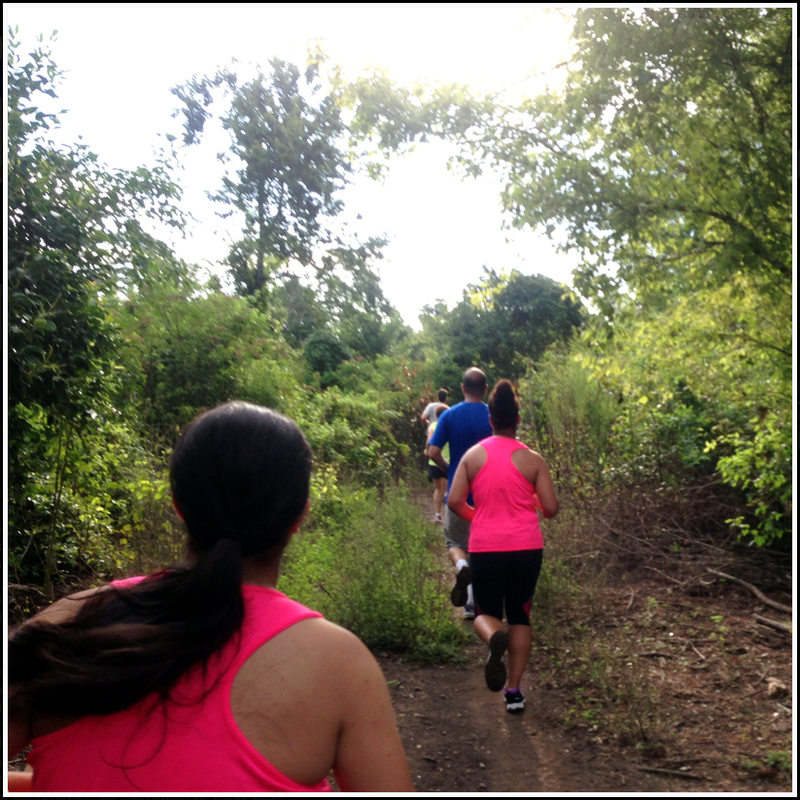 The Wild Pig Trail Run started under sunny skies, but within my first mile the sky began to get overcast. 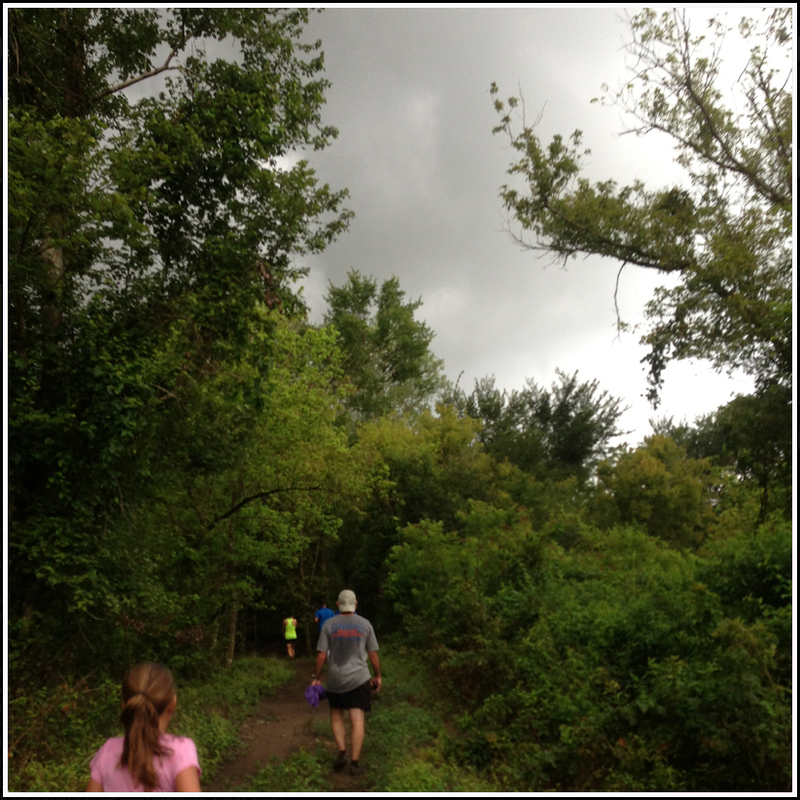 In the second mile there was a fine mist with darkening clouds, and during my third mile the heavens opened up. 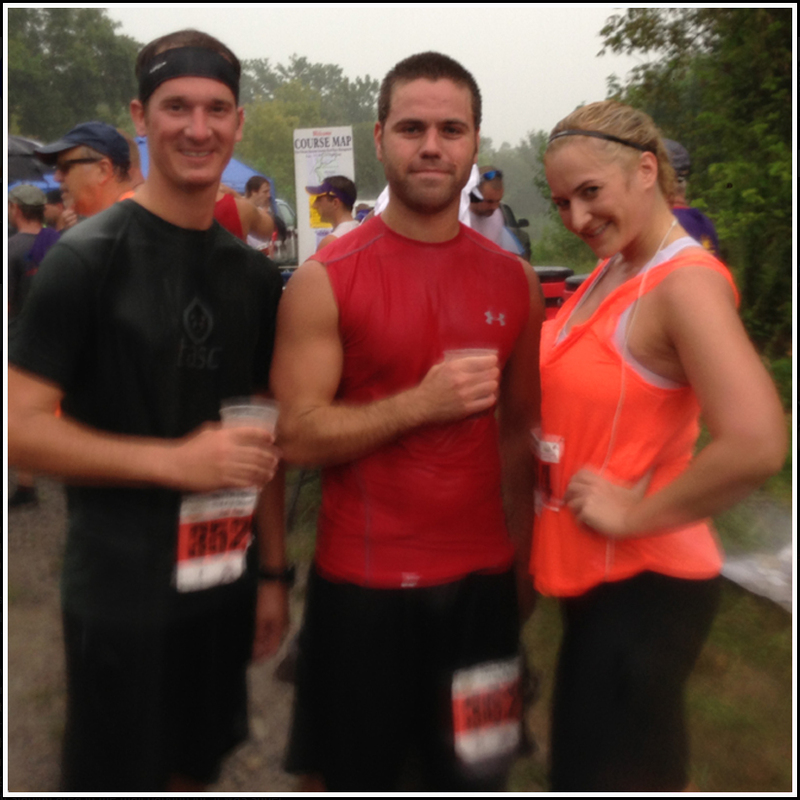 This rain made the grass slippery and mud muddier, which added challenges heading back to the finish. It was particularly cool to be able to hear the rain approaching through the trees and hear its roar get louder as it quickly chased me down, but the obstacles it created prevented me from fully enjoying the experience. 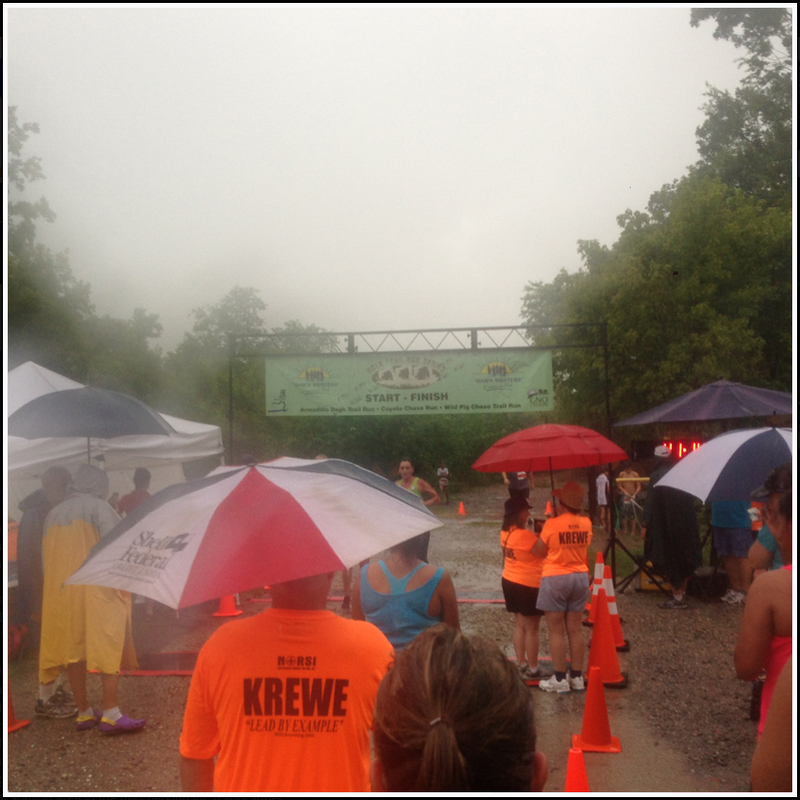 Regardless, the clouds and downpour cooled off the course rapidly. Slowing my pace so as not to end up falling forward became my plan, and I ended up crossing the line with all bones and facial features safely in tact. For this race, my running partners and I stuck around for the awards ceremony. It was fun to catch up with them and meet new friends while we waited for the final runners to be off the course and the scores to be tallied. Age group winners were presented with their plaques, and overall trail series winners received gift certificates from a local running store. One of my friends and I had run all three of the races in the series (read the recaps from The Coyote Chase Trail Run and the Armadillo Dash Trail Run), so we received glass beer mugs for that accomplishment. Changing shoes and shirts before piling in to the car was required, but only because we wanted to keep it classy as we made a detour to the nearest Starbucks. Seeing as how the navigation skills in the car were lacking, the detour took a bit longer than expected. However, once we finally got back on track with iced coffee in hand, I proclaimed to never run a trail race again. The possible injuries and strains that could be caused by a non-flat course concern me, especially during a season when I am training for fall marathons. 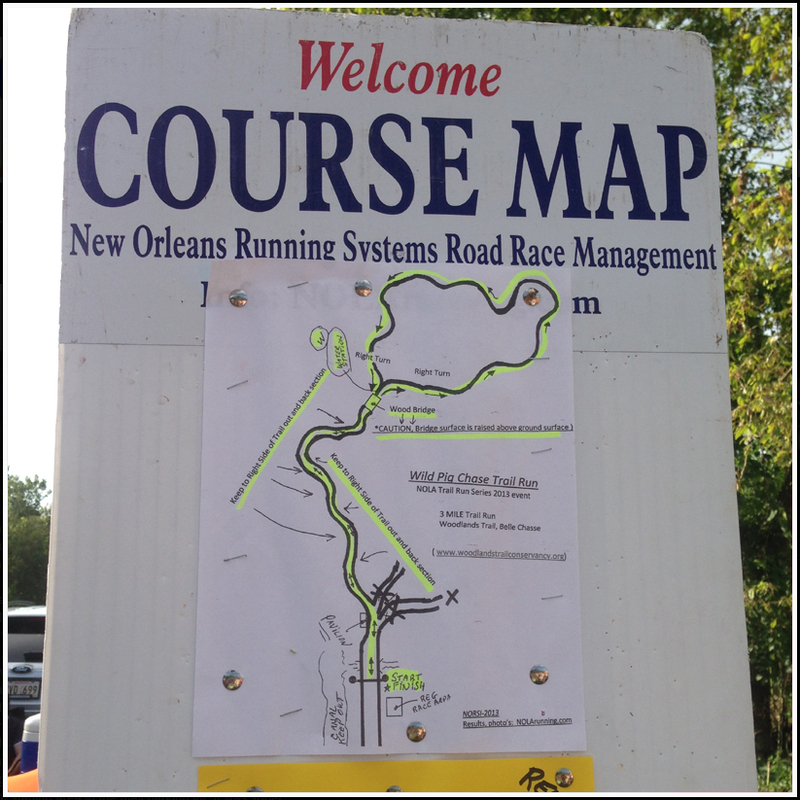 However, the race director announced that he plans to bring the NOLA Trail Run Series back for a second installment in 2014. When the time comes, it'll be hard for me to say no to the opportunity. I'm just glad that you were able to navigate yourself out of the course. It was touch-and-go for a second there, Anne. And I was not above letting you fend for yourself in the wild. 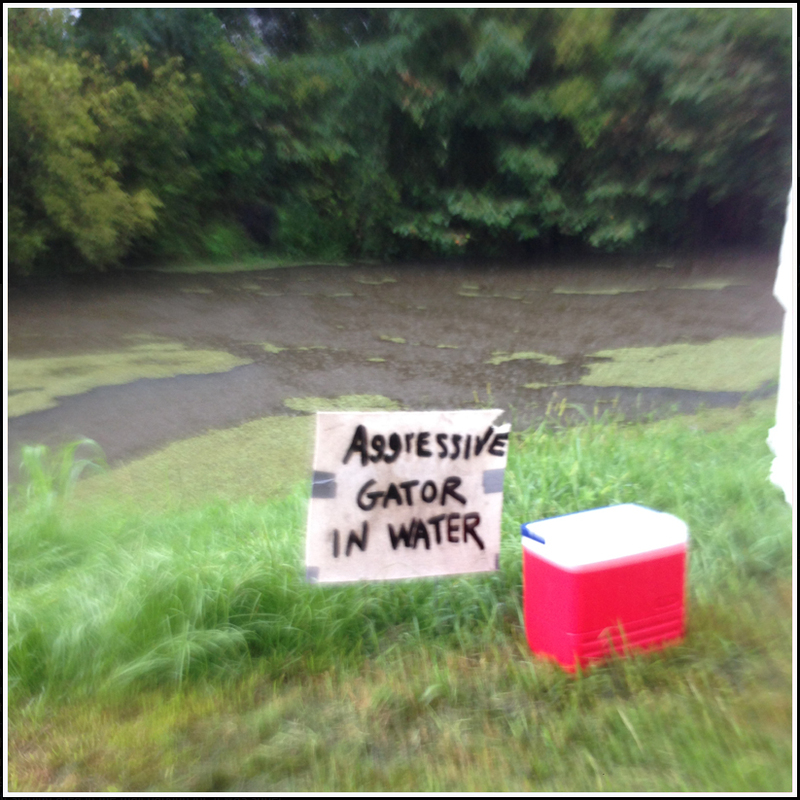 I would have sooner let someone drag me along by their legs back to the finish rather than get stuck in the woods of the Westbank...with an aggressive alligator. Before your recap, I had NO idea this trail even existed. Who knew we have so many interesting trails in the metro area other than the Spillway and the loop around Audubon? Congrats on completing the series! Cool swag, too. What's really cool is this trail is open all year and is TOTALLY FREE to explore. I had absolutely no idea either. I'd like to go back and take it slower and enjoy it more.